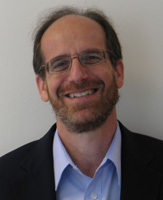 Brian Wolfman is currently Associate Professor of Law at Georgetown Law. He was previously Professor of the Practice of Law at Stanford Law School and a faculty member in Stanford’s Supreme Court Litigation Clinic. He is also a Lecturer on Law at Harvard Law School, where he teaches the appellate courts and advocacy workshop. Brian has argued five cases before the U.S. Supreme Court and dozens of other cases before appellate and trial courts nationwide. Brian served as Of Counsel to Gupta Wessler PLLC from the firm’s founding through March 2016. Brian is also a nationally recognized expert on class actions, preemption, attorneys’ fees, and access to the civil justice system, and has testified on those subjects before Congress and federal rules committees. He is a member of the American Law Institute and served as Advisor to the Institute’s Principles of the Law of Aggregate Litigation, akin to a “restatement” of the law governing class actions. He has published articles concerning class actions, preemption, and other topics. Brian has handled a broad range of litigation, including cases involving health and safety regulation, class action governance, court access issues, federal preemption, consumer law, public benefits law, and government transparency. In the preemption area, he has been lead counsel in a range of cases involving injuries from radiation exposure, prescription drugs, pesticides, and medical devices, including Medtronic, Inc., v. Lohr, 518 U.S. 470 (1996). He has written articles on class actions and has testified before Congress regarding the so-called Class Action Fairness Act (and its predecessors) and before the federal Civil Rules Advisory Committee on proposed changes to Rule 23. With respect to access to the courts, he has concentrated on litigation regarding court-awarded attorney’s fees, including acting as lead counsel in four U.S. Supreme Court cases involving the Equal Access to Justice Act–the principal statute authorizing fee shifting against federal agencies. Richlin Sec. Serv. Co. v. Chertoff, 128 S. Ct. 2007 (2008); Scarborough v. Principi, 541 U.S. 401 (2004); Shalala v. Schaefer, 509 U.S. 292 (1993); Melkonyan v. Sullivan, 501 U.S. 89 (1991). Before joining the Stanford faculty, from 2009-2014, Brian was the co-director of the Institute for Public Representation at Georgetown University Law Center, a clinic concentrating on civil rights and other public-interest litigation. At Georgetown, he also taught a litigation practice seminar and the standard Federal Courts course. Before that, Brian spent nearly 20 years at the national public interest law firm Public Citizen Litigation Group, serving the last five years as the Litigation Group’s Director. He also directed Public Citizen’s Supreme Court Assistance Project, which helps “underdog” public interest clients litigate before the U.S. Supreme Court. Before that, for five years, he conducted trial and appellate litigation as a staff lawyer at a rural poverty law program in Arkansas. Brian clerked for the Honorable R. Lanier Anderson III of the U.S. Court of Appeals for the Eleventh Circuit and is a graduate of Harvard Law School and the University of Pennsylvania. Brian has also taught as an adjunct at Stanford, American, and Vanderbilt. He is a co-coordinator of the Consumer Law & Policy Blog.